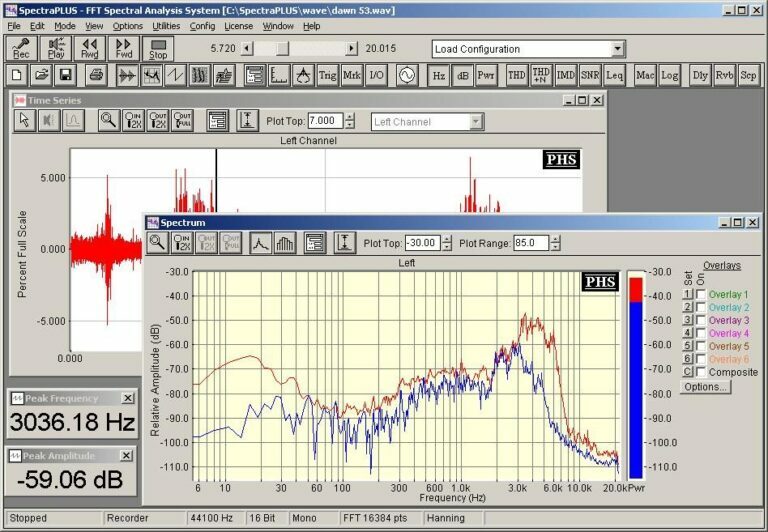 SpectraPLUS is a full-featured spectrum analyser with a host of capabilities, running under Windows Vista, XP and 2000. 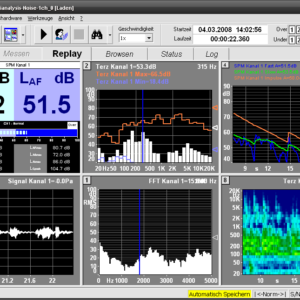 With real-time displays of FFT and 1/n octave vs time, and noise & vibration calibration, this software is amazing value for money with base versions starting at only £293! The software uses your PC sound card as hardware, so the quality will depend on that, but these days pro-audio sound cards are often better than some manufacturers’ data acquisition hardware! SpectraPLUS-RT Provides real time spectral analysis with Narrowband, 1/1 or 1/3 Octave resolution. Signal generation and recording/playback are also available. 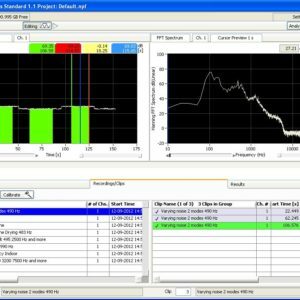 Designed for users needing a high quality spectrum analyser with a minimal learning curve. SpectraPLUS-SC Powerful dual channel signal analyser with real time, recording/playback and post processing. 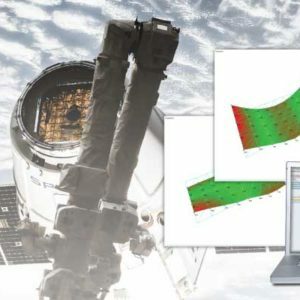 Features a comprehensive set of displays for spectrum, time series and phase measurements as well as advanced joint time and frequency analysis (spectrogram and 3-D surface plots). 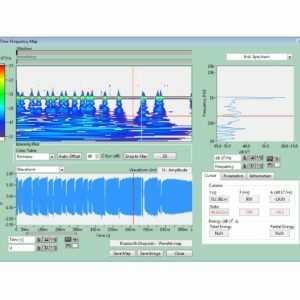 A wide selection of tools and utilities for signal generation, distortion and reverberation measurements are available plus the ability to automate the analyser for production testing or other needs. Triggering, Transfer functions and much more!